Summer is a great time children to relax, but it is still important to keep those academic skills in focus too. With so many options available to parents now, how do you choose what is best for your child? The first thing you want to do is look at their interests. What does your child like to do? Find camps that appeal to them, but also look for camps that will expose them to new ideas and experiences. 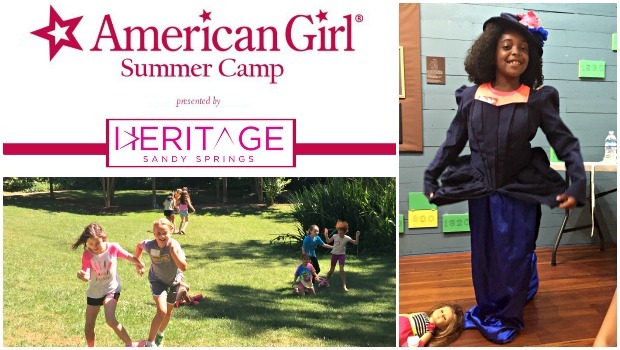 If you have a child that loves American Girl dolls and live close to the Sandy Springs area, then you have to look into the American Girl Summer Camp. Returning for its second year, this camp exposes participants to the unique historical perspectives of the American Girl Dolls through crafts, food, and games. For those who have attended our programs before, the summer camp sessions are all new, providing more in-depth content, and even more interaction with the historic period. Choose between four, week-long sessions, two in June, two in July. This was my daughter's favorite camp last year!